Nursery decals have come a long way, and this latest offering brings a whole new level of style to bare nursery walls everywhere. Foxes are a huge trend in nursery decor, as are forest critters in general. Trendy Peas has capitalised on the latest hot look for children’s rooms with its new Forest Friends range. 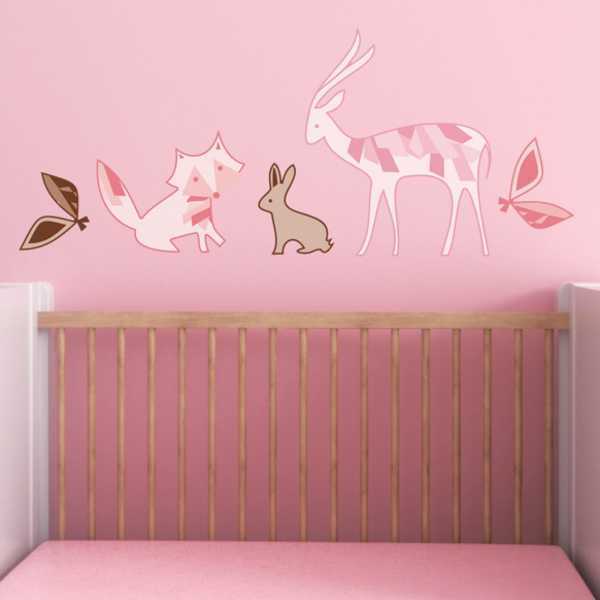 I adore the fabric decal, with its trio of a deer, fox and bunny. The look can be customised with each of the creatures available in a huge range of colours. The decal set is US$62. 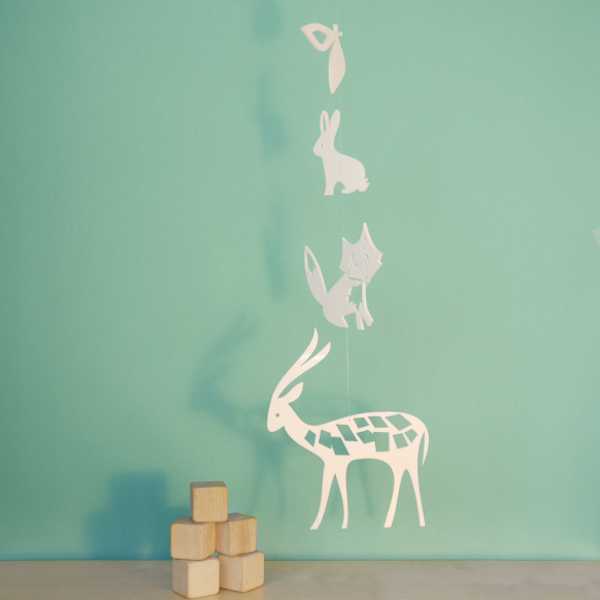 To finish the look off, Trendy Peas has released a matching deer, fox and bunny mobile. The understated and simple acrylic mobile is US$39. Both items are available from Trendy Peas, which ships internationally. While you’re there take a look at some of the other beautiful decals (like Rain Drops above) and mobiles.